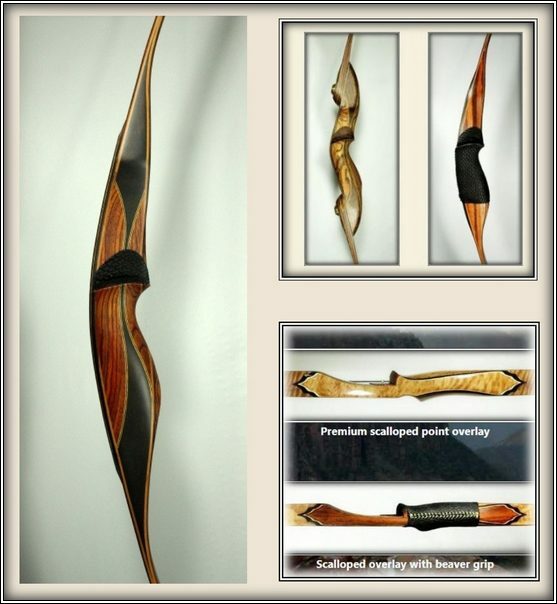 Custom Longbows & Recurve Bows From Cari-bow. 3D or Hunting. David Toms has owned and shot many custom bows, and loves his Cari-bow Taiga EX! Subscribe To See New Bows! New bows "In Stock" for sale coming up soon! We hope you enjoy our new website.. added more images to help you see the Cari-bow line! You can always check the inventory page here to check our bows in stock & ready to ship! You can see features and pricing as you click different options on the custom order pages here. Abe was interviewed by Northern Traditions and you might really enjoy listening to it here. Have you seen the Dave Toms video review of his Taiga EX? Welcome! I'm Abe Penner, the designer and bowyer for Cari-bow. I've been making handmade and custom archery bows near Winnipeg, Canada for over 28 years. I am happy to say that over two thousand archers have used these bows in conditions ranging from intense African heat to the subfreezing cold of the Rocky Mountains. Through the years, several archers have used Cari-bows to claim national and world longbow competition titles. My intention is to make each bow as tough and accurate as it is beautiful. Let's face it- those of us who love archery, and especially bow hunters, would be out there with a stick and string if our favorite traditional bow suddenly disappeared into the tundra.. Still, there is a great satisfaction that comes from releasing an arrow that flies true, from a silent bow that lies still in the hand after the shot. Many hunters will agree that a great bow can be the difference between a trophy and a near miss. Please enjoy the site, and don't hesitate to call if you have any questions. I hope you become a Cari-bow owner and it gives you a lifetime of enjoyment! See more Cari-bow success pictures here! 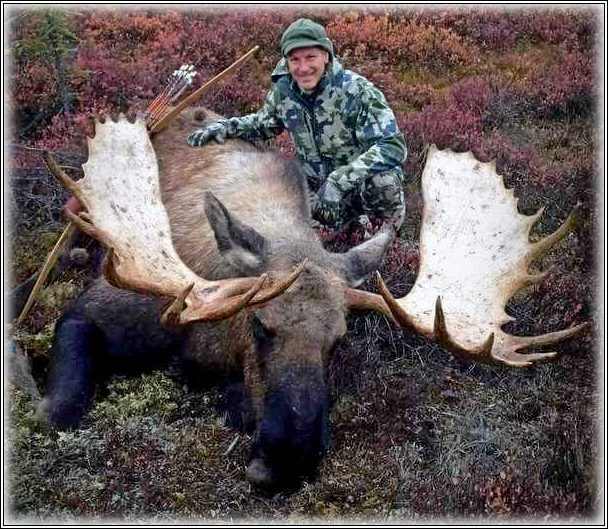 Brian Burkhardt had success with his Cari-bow longbow during this moose hunt! Why should one consider a handmade archery bow over a production bow or a back yard/garage bow? I have nothing against either operation. I developed my own skills as a part time bowyer. When you choose me as your bowyer you are getting experience from someone who has been making handmade recurve bows and longbows for over 28 years. That comes to over 12 different models with some coming in varying lengths. These are all my own designs. They have their own cores and tapers that have been developed for each model. In some cases 6-8 different forms along with just as many attempts at tapers. What I'm looking for is a smooth drawing, high performance, highly efficient bow with shock free shooting characteristics. In reality, it is far more complicated than a short essay could do justice to. They all need to come together to make for an exceptional shooting and performing bow. I have and keep spending time refining those traits. This is to give the archer the best product that I can design. 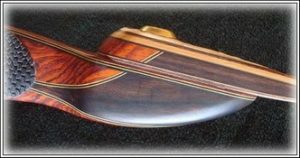 When someone refers to "custom traditional bows” they usually mean bows that have unique personal touches and/or are built by a builder with a great reputation. “Custom” can mean different things to different people. It could be that if you choose from a few pieces of wood and you got your weight and your name on the bow, it is all the custom you want. This is fine if that's all you want or need. 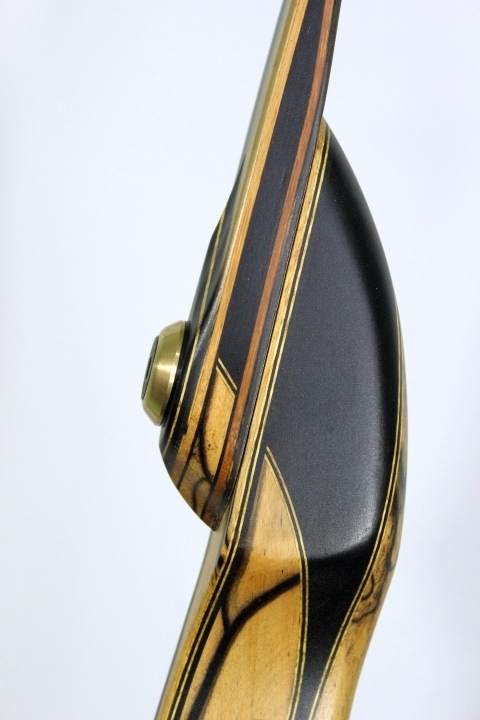 When we say “custom longbow” or “custom recurve bow” it gives the impression that there is something unique about it. Here is where cosmetics come in. Making a one-of-a-kind bow, given the qualities in the above paragraphs, could and would probably take several months, keeping in mind "one of a kind". This would require an open check book. Not really practical. So how do we make a unique bow (custom) and still have it repeatable and cost effective? We can make changes in woods and or make inlays. We can choose woods that look good together or are hard to find. There may be figure that make a species look unique. These combinations take time, and I keep in mind "will that work in a bow without losing its integrity"? Watch David Toms place 4 arrows in the 3" circle at 15 and 22 yards with his Cari-bow Taiga EX. You may be able to catch him at the Hunting Beast or the Saddle Hunter. Great shooting David! Thanks for sharing! Don't miss these! Click here to see features and options for Cari-bow recurves and longbows. 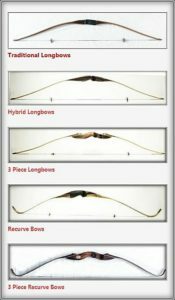 You can also check our inventory here for bows in stock. Want to mix and match designs or features? Please call Abe at 204-822-3886 to discuss your ideas! Style? It takes time to develop ones own style. You could take on someone else's style. We are all influenced by what we see. One can just copy what we see or we can be influenced and make our own spin on it to make our own style. I have always made my own forms and do not copy or make patterns from other peoples' bows. This to me is like using someone else's signature, not finding my own identity. I think if you go through the resume of pictures, you'll agree that I have some degree of uniqueness and/or style. Whether you like what you see is entirely up to you. With the nature of "custom made bows" there comes a wait time. This is where some people lose interest and choose one of the handmade archery bows I have in stock. For this reason, and from my own ideas on what woods look good together, I have decided I will keep making recurve bows and longbows for inventory. So if I have stimulated your senses enough to take notice and you feel like you would appreciate, fondle and enjoy shooting what some say is a piece of "working art" then please be indulgent. This gives me the opportunity to be creative and gives archers the option of an online archery purchase, and the satisfaction of owning one. I’ve had the good fortune to count as friends some fine bow hunters from around the world. Please click here to see more! I’ve designed over a dozen recurve and longbow models over the past 28 years. Each model has a unique combination of wood cores, tapers, fiberglass, and riser design. I often evaluate my designs by building 6-8 variations and then test them side by side. What I'm looking for is a smooth drawing, high performance, highly efficient bow with shock free shooting characteristics. In reality, it is far more complicated than a short essay could do justice to. They all need to come together to make for an exceptional shooting and performing bow. I have and keep spending time refining those traits. This is to give the archer the best product that I can design. Subscribe and be the first to see new bows and announcements!